You won’t hear the C-word coming from Keystone XL foes as they argue against TransCanada Corp.’s push to get the final state approval needed to build the pipeline. Instead, even as the company seeks to limit objections, they’re spotlighting TransCanada’s use of eminent domain, which Republicans traditionally oppose in support of landowner rights. Supporters, meanwhile, are pressing another issue close to Republican hearts: Jobs. As Keystone XL faces its final hurdle in Nebraska, the starkly different political landscape under President Donald Trump versus Barack Obama is bringing new shape to a debate that will be overseen by the state’s Republican-dominated Public Service Commission, set to hear a week of arguments starting Monday. With Trump in the White House, a positive nod from Nebraska could remove the final regulatory barrier. Property rights “might be the thing that stops this,” said Art Tanderup, who owns farmland on the pipeline’s route that’s been in his wife’s family for 100 years. Even some pipeline supporters say the company shouldn’t be able to “take their land away,” he said. Still, the jobs issue carries weight among Republicans as well, particularly in the age of Trump, who has focused on the energy industry’s ability to spark the U.S. economy. While the 2016 Republican platform says the Supreme Court’s 2005 ruling in support of eminent domain undermines the Constitution’s Fifth Amendment, Trump has in the past praised the decision. Designed to carry 830,000 barrels of oil a day from Canada, the US$8 billion Keystone XL pipeline will span 1,179 miles (1,897 kilometres), running through Montana, South Dakota and Nebraska. From there, the oil can flow south on existing lines to the Gulf Coast, which is an export hub and where refineries are built to process heavy crude. Nebraska is a decisively red state: It hasn’t voted for a Democratic president since 1964 and four of the last five governors have been Republican. Still, the state has been an impediment to progress on the project, with lawmakers and landowners challenging the route with legislation and lawsuits. The company eventually agreed to a commission review instead of waging further court battles, setting up this month’s hearing. Now, final approval will be decided by a commission board made up of four Republicans and a single Democrat. In 2015, the Obama administration denied the presidential permit necessary for cross-border pipelines after a State Department review found Keystone didn’t serve the national interest. But Trump, who came into office vowing to support the oil industry, quickly revived it. Among proponents, the economic argument for jobs hasn’t changed from the very start of the debate. TransCanada, the president and labor unions have long touted the project is a job creator that will help the state’s economy. The state will benefit from 4,400-4,500 jobs during the two-year construction period, and $12 million in property tax revenues, according to the Calgary-based company. “We were very excited about it. It was an opportunity to get our people back to work,” said Ron Kaminski, a member of the Laborers’ International Union of North America. Kaminski, after running the local union in the state for about 10 years, shifted his focus to outreach. Opponents, not surprisingly, disagree. 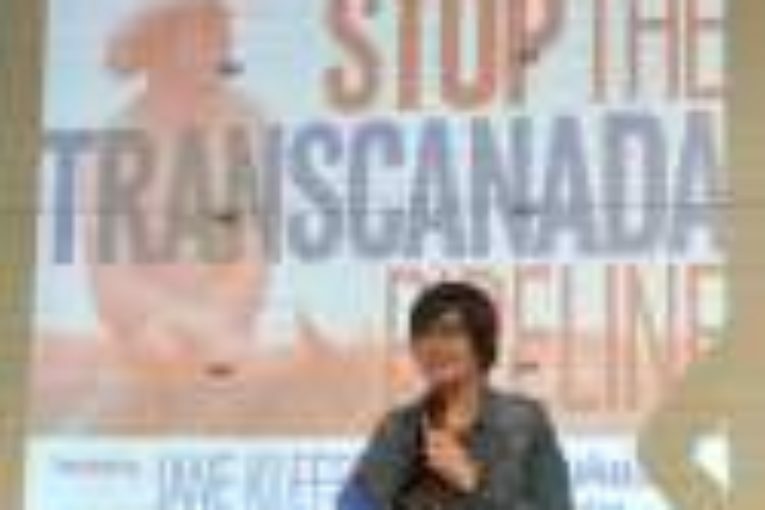 They argue that many of the jobs promised by TransCanada are temporary, and in the past have said that clean-energy projects can also carry the promise of added jobs. Jane Kleeb, of activist group Bold Alliance, was a key figure in the first fight against Keystone, which centered around its potential to add to global warming. While Kleeb continues to support investment in clean energy, and voices concern about the tar sands oil that will come from Canada, she hasn’t made it the focal point of the discussion. “Climate has not been the main thing,” she said in an interview. In an Aug. 2 order, the commission sustained some of TransCanada’s objections, blocking testimony about topics including the terms of potential agreements with the company, the risk of leaks or spills, and “opinion that the preferred pipeline route or any other route is not in the public interest.” The commission will allow discussion of the value of landowners’ property and potential restrictions on land use. Kleeb, alongside groups such as the Sierra Club and 350.org, have been working with landowners, highlighting the issue of eminent domain. They argue the pipeline isn’t economic anymore, citing speculation the company has had trouble securing customers. TransCanada counters that it still expects commercial support for the project, and has had discussions with existing and new shippers. Kleeb and others argue this urgency won’t exist by the time the project comes online, roughly two years after the regulatory approvals. The result, they say, is that it’s unnecessary and unfair to take private property for the pipeline using eminent domain, particularly given certain liability provisions the company is putting into landowner easements. TransCanada says 91 per cent of landowners in the state have agreed to allow the project on their land, and the terms are consistent with industry standards. Still, activists face an uphill battle, said Katie Bays, an analyst at Height Securities LLC in Washington, D.C. The commission leans conservative and the governor “has significant influence over the process from a political perspective, and he is a major advocate for the project,” she said. Even if the outcome favours TransCanada, opponents have vowed to keep litigating. The next step would be the state’s court of appeals, said Kenneth Winston, an attorney working for Bold and Sierra Club. While the company said it’s taking the process step-by-step, any decision is likely to be appealed, according to Corbin.